Sounds like a pretty good deal. There are some pretty sweet deals up on Steam if you’re thinking of pre-purchasing DmC: Devil May Cry right now. If you purchase the game right now, you can get it for $49.99, and also get the costume pack downloadable content for free. However, that’s not even the real deal. You can spend a few extra bucks and get the game for $59.99 over here. Why’s this deal so good? Because you get the awesome Devil May Cry 3 and the only decent Devil May Cry 4 for free along with DmC itself (well, of course). 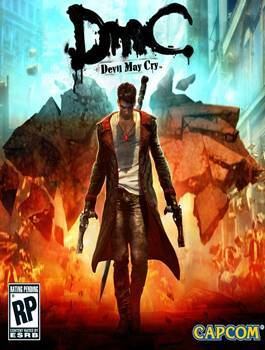 And you get the Special Edition for DMC3, no less, which means you also get to play the Virgil campaign. Which means you’re practically saving upto $30 compared to how much you would have to spend if you bought these games individually. But make sure your PC can run the game before you purchase it. Get the system requirements here.